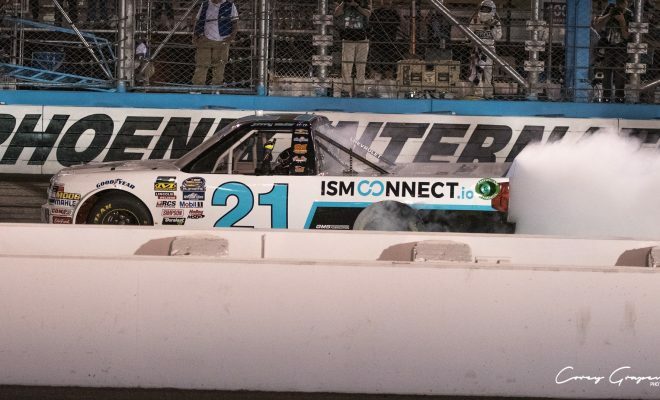 (via NASCAR Wire Service) AVONDALE, Ariz. – Three red flags told the story of Friday night’s Lucas Oil 150 at Phoenix Raceway. The third of the three gave defending NASCAR Camping World Truck Series champion Johnny Sauter the chance he needed to win the race that set the field for next Friday’s championship event at Homestead-Miami Speedway. When Kyle Busch Motorsports teammates Christopher Bell and Noah Gragson wrecked during an intense side-by-side duel with seven laps left, Sauter inherited the lead for a restart on Lap 149 of 150, and held off John Hunter Nemechek by .668 seconds for his second straight victory, his first at Phoenix, his fourth of the season and the 17th of his NASCAR Camping World Truck Series career. By the time Sauter pulled away over the final two laps, Bell, the series leader, had clinched a spot in the Championship 4 race. So had two-time series champion Matt Crafton, who finished third in each of the first two stages to wrap up his place in the finale on points. The second red flag followed a wild crash on the backstretch that started with trucks racing five-wide through the dogleg and wrecking when they ran out of room near the entry to Turn 3. The first red flag was for agony and ecstasy—agony for Ben Rhodes, who was knocked out of the final four, and ecstasy for Austin Cindric, who advanced in the Playoffs to the Championship 4 and will race for the title in Miami. After Bell and Crafton already had joined Johnny Sauter in the championship race at Homestead-Miami, the battle for the final spot took a dramatic turn when the No. 50 Chevrolet of Josh Reaume stalled on the track on Lap 122 of 150 to cause the third caution of the night. Both Cindric and Rhodes came to pit road under the yellow, with Rhodes giving up the third position to make the stop. When the drivers lined up for a restart on Lap 130, Cindric was 11th, right behind Rhodes in ninth. Cindric got a strong run across the start/finish line and dived to the bottom of the track. Rhodes moved down to block, and contact between the trucks sent Rhodes’ No. 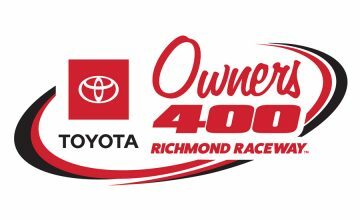 27 Toyota spinning hard into the inside wall, then bouncing up the track into the No. 88 Toyota of Crafton, his ThorSport Racing teammate. Cindric avoided damage and rolled home in ninth, earning a chance to run for the series title at Homestead-Miami Speedway on Nov. 17 in the Ford EcoBoost 200 (on FS1 at 8 p.m. ET). Rhodes felt the Cindric’s move was unwarranted. “He put me in a bad place and trying to do everything I could to keep the spot, but once you file into Turn 1 we were all going to wreck, so I’m not sure that was the right move on his part,” Rhodes said. “I did everything I could to just make sure we were having a good day. The exit of the Toyotas of Rhodes, Bell and Gragson gave Nemechek one final chance to stay in the Playoff with a victory. Nemechek restarted second in the outside lane but couldn’t keep up with Sauter through the first two corners. 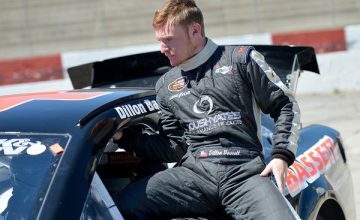 “Our truck wasn’t that great on the outside all night,” Nemechek said. “Once Johnny got to clean air, there was really nothing I could do. Bell and Gragson swapped the lead for the first 145 laps (Bell 90, Gragson 55) before Bell pitted with damage under the final caution and handed the lead to Sauter. And with that spin of the wheel of fortune, Sauter was in Victory Lane, heading to Homestead-Miami with the same sort of momentum that carried him to the championship last year.